The countdown is real. 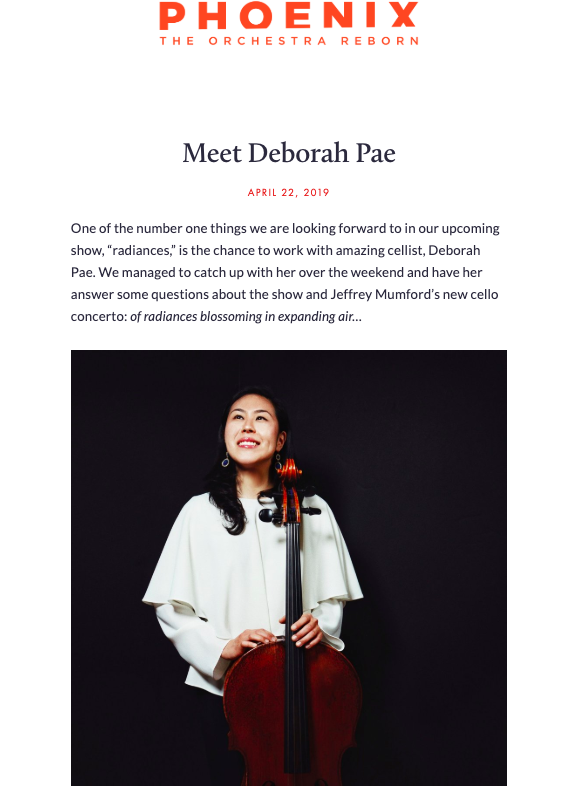 The world premiere of Jeffrey Mumford’s new concerto, of radiances blossoming in expanding air…, is taking place on MAY 4, 2019. I sat down with Phoenix in Boston and answered seven questions about this final show of their 18/19 concert season, the concerto, and what I’m looking forward to most when I’m back in the New England area. There are some fun tidbits about food, which should not be a surprise!